Ten soup plates, 9 7/8in. (25cm.) diam. Twenty-nine dinner plates, approx. 10-10½in. (25.4-26.7cm.) diam. 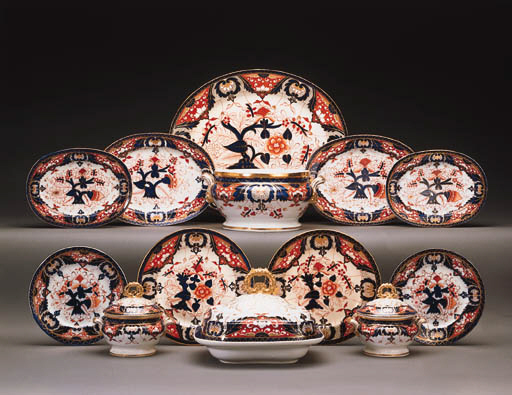 Seven lunch plates, 8½in. (21.6cm.) diam. A dessert plate, 7¼in. (18.4cm.) diam.